Todays economy has made many small businesses seek new ways to find ways to finance their business. While equipment leasing is not “new” and has been around for a long time. Many small businesses were unaware of it. Most business owners experience with leasing begins and ends with their cars! Its only been recently with traditional modes of financing becoming so hard to get approved, that leasing has become more popular. Any business owner who is trying to find a way to save some money should definitely look into leasing their equipment in the future. How does equipment leasing work and why is it becoming so popular? First you, the business owner finds an equipment vendor who is selling the type of equipment your business needs. 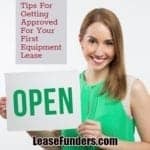 Once you negotiate the sale price you contact an equipment leasing company, fill out their application and after your approval, the leasing company will contact your vendor to start making arrangements to pay them directly for the equipment you want. One of the main reasons equipment leasing is so popular is the application process. For an equipment lease. 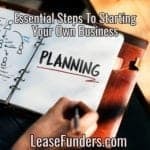 For an established business (3 years or older) you generally just need an application for leases up to $50,000. If you need a larger amount, have credit problems or are a startup business, they may require bank statements or a tax return to show your ability to repay. 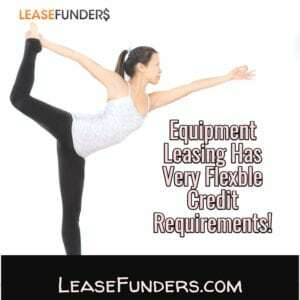 Equipment leasing is also very flexible. With bank financing, they are looking for their applications to have almost perfect credit and financial statements. While with equipment leasing you can find programs for people with very low credit scores that banks would normally turn down. 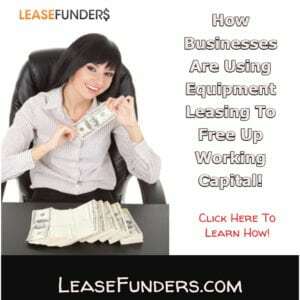 There are many different types of equipment leasing programs available. The majority of the programs are created for an established business with good credit (business and personal). But there are programs available for people who are just starting their businesses or people with PAST credit problems. Even if your credit score is very low and you can’t qualify on your own, you can have a co-signer on your lease. And if you don’t have a co-signer you can also ask for a secured business loan or equipment sale-leaseback. 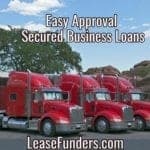 This program uses equipment that you ALREADY own as collateral for a new lease or you can even use it as a working capital loan. A typical equipment lease will run for 12 months up to 5+ years. These terms are negotiable. Rate and terms are tied to the business and owners credit, how old the business is (2 years and older are considered more stable) and the business’s overall financial health. If you have a seasonal business, there are programs available that allow you to pay during your peak season and have no payments due during your off season. 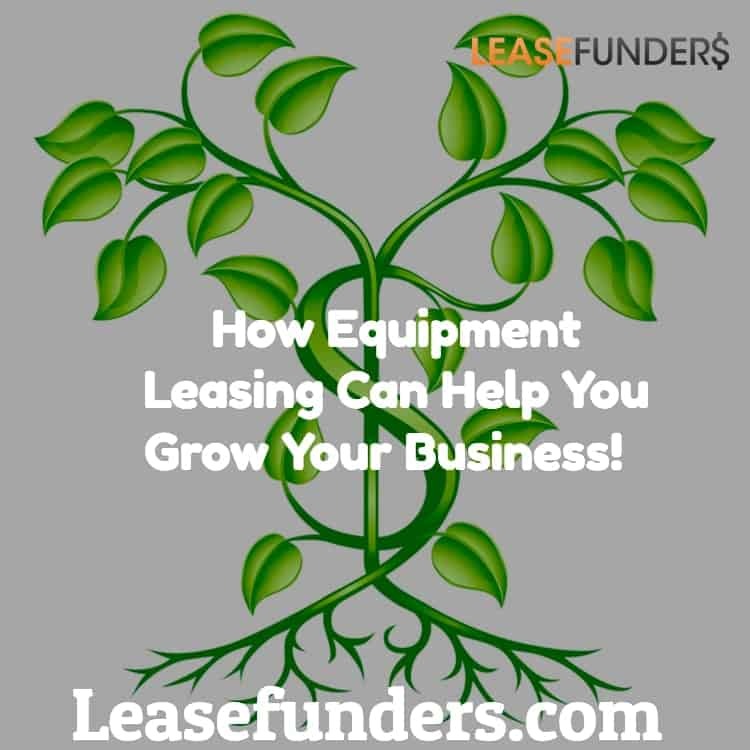 Equipment leasing is basically appropriate for any kind of business. Big or small. New or old. Good credit or bad credit. Leasing not only helps you get the equipment your business needs quickly and relatively easily, but it will help your business build its own credit file by reporting to D&B. Does your business need new equipment? Have you been having trouble getting approved by your local bank! Contact one of our leasing brokers now! 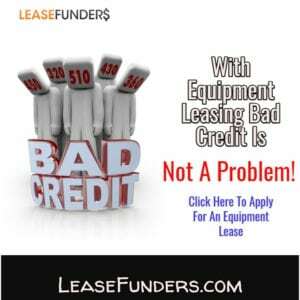 1-888-308-7160 or click here to apply now for an equipment lease online.